Like many others, this brings me back to my youth and is classic skynyrd. I own this in it’s original form on vinyl. That is in my opinion, one of the best recordings ever. Whoever took it upon themselves to butcher the original version of One More For/From the Road has done a disservice to the music listeners of the world and should be ashamed. What happened to the guitars? There used to be four (including the bass). You can’t hear each guitar distinctively like you could on the original. It’s really a poor recording. If someone wanted to put out a Lynyrd Skynyrd recording why didn’t they do something different and leave this alone. Some things don’t need fixing. Great live LP hands down! This is it! One of the best! 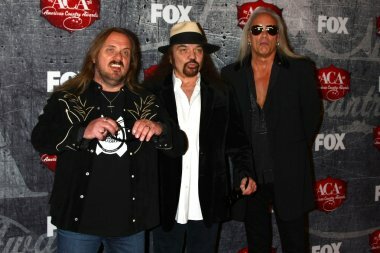 Skynyrd, as we know is one of the best southern rock bands that there will ever be! Ronnie is at his best right here will all of the band. A genius song writer of the real life! All the great songs are on this album and live! Listen and you will agree...This is it! This is NOT Lynard Skynard's original recording! Beware. Yes, I am old enough to have original recording. Not Ronnie Van Zant. Maybe his brother from 38 Special - - - - who knows? Does this really sound like an original "Live Albumn" - NO. What is going on with iBubes? Dig deeper, find the true Genius of late 20th Century blues." Curtis Lowe, White Dove, Gimme Back My Bullitts, etc.". Read Skynard's history. Very disappointed in iTunes. Makes me wonder about other recordings we pay for. Shame and suspicion. This will never be shown to younger generation cause they want to sell us anon crap rather than offer the Real Recordings. Why? Geez. I weep for us all. And, Shame on iTunes for not offering the REAL recordings. Feels like Amerian Idol BS.....Stinks. Simply the greatest live album ever recorded in the history of mankind. If you play this album loudly enough, it will serve as a time machine and transport you to 1976 ...yeehaw! The remastered version of Lynyrd Skynyrd's double live album "One More From The Road" (realeased, ironically, on Sept. 11, 2001) is excellent. 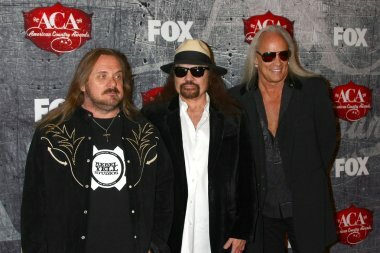 The songs have been reorderd into Skynyrd's original Atlanta set list and, most significantly, Ronnie Van Zant's original track introductions have been restored. His commentary is soulful, earnest, and often heartwrenching, as it serves as a painful reminder that classic rock lost one of it's musical geniuses far too early. (There is also a rather seminal moment when Van Zant introduces guitarst Steve Gaines, who would be with the band less than a year before dying in the 1977 plane crash that killed Van Zant, Steve Gaines and his sister, Cassie.) Having seen the modern version of this band live, the results on this album are the closest thing we are ever going to get to attending a Classic Skynyard show and, for any fan of southern rock, are definetely not to be missed.